I am not one of those guys that bets on every game there is, but if see a good offer I'll be on it, but only after I check every possible info via Football Manager and this site for football betting. So let's take a look at how FM could help you with placing your bets, hopefully with applying some of the info you'll start making them winning bets soon. No other football simulation game is not as detailed and filled with useful info as Football Manager. FIFA and PES can't be compared with FM when it comes to this. Before making your bet on a particular game, it is always a good thing to get a better idea about the clubs that will play. You can do this by looking at the club info screen in Football Manager. Just some of the info you could learn is clubs' league positions in the past, their history, media predictions, silverware, managers, staff, etc. 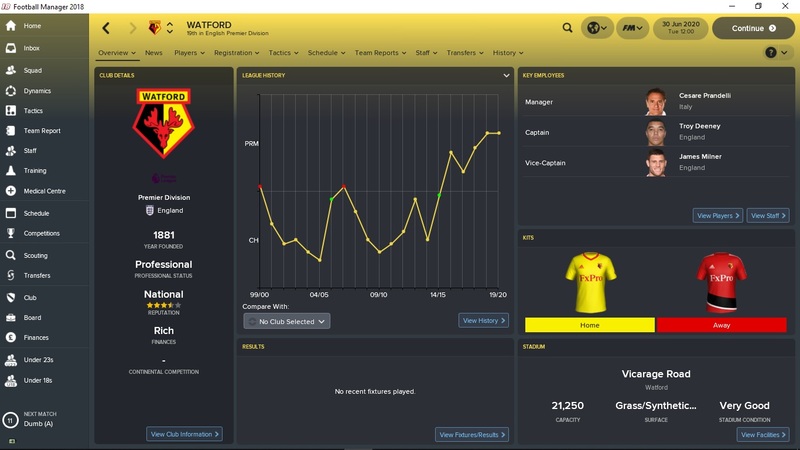 Football Manager offers all of this info, but this is only the top of the iceberg. Using FM, you can quickly learn more about the clubs that will be playing the game on which you'll be betting. Player knowledge is the factor that makes Football Manager deep and complex game that we know. As there is no way any other football simulation game can't be matched with FM regarding club info, no other football simulation game can't even get in the same sentence as FM when it comes to player info. Football Manager's database contains more than 600,000 players worldwide. And all of them have been scouted by more than 1,500 scouts that work for Sports Interactive. It's no wonder real life clubs use FM as a scouting tool. So, before you make your final bet, take a closer look at the player profiles. One useful thing is the comparison tool that Football Manager offers. FM is a well-known tool for quickly and easily finding out info on clubs and players, but it's less known that it can predict with high accuracy outcomes of games and competitions. 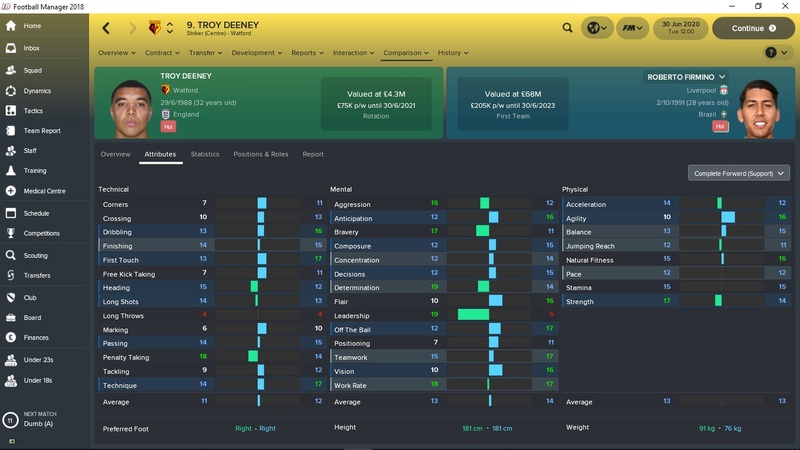 Everyone already knows how Football Manager can predict for some wonderkids to become elite players, but the same applies when predicting game results. This YouTuber ran FM 1,000 times with custom World Cup database he made to see who will win the competition in Russia. It should come as no surprise that France was the top pick by Football Manager. To get a clear idea on who will win the game on which you've set your mind to bet on, you can take this one more step. 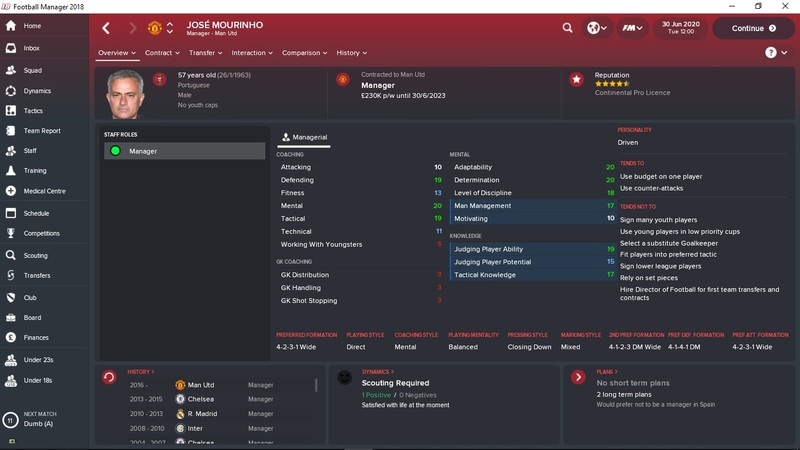 Take a closer look at the manager attributes ( yes Football Manager has these as well ), and write them down on a piece of paper. Now fire up a new career game and add new managers with the same attributes as the real managers. Add these newly created managers to the clubs that will play the game and then set the tactics as they would be in the real world. Pick the players, formations, etc. Then save the game and run Football Manager to play out the game for 10 - 100 times. More times you play out the game, the higher your chance of predicting the right outcome, simple. Football Manager is an excellent tool from which you could learn a great deal about the clubs, managers, and players. Using that info and simulating the match few times as mentioned above you will be well on your way to making winning bets in the future. How can Football Manager help you in placing bets and get better in betting in general. Learn how to use this mighty tool yo your advantage.